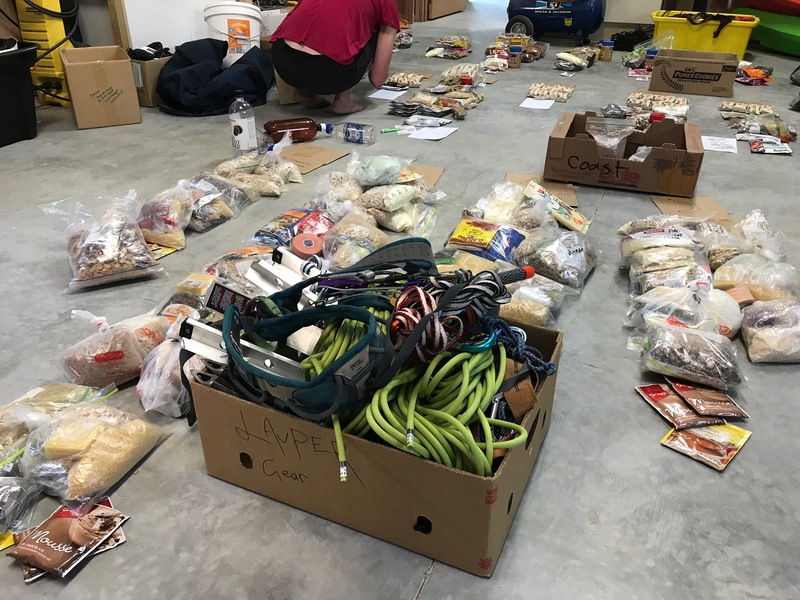 If you thought packing food for a weekend tramping trip was complicated, how about a multi-week expedition in Alaska or a traverse of the Southern Alps? For the past few years my life has revolved around long human-powered journeys into some of the world’s most remote places (both for work and in my spare time). I’ve prepared more meals on an MSR stove in the wilderness than in a kitchen in the urban world! 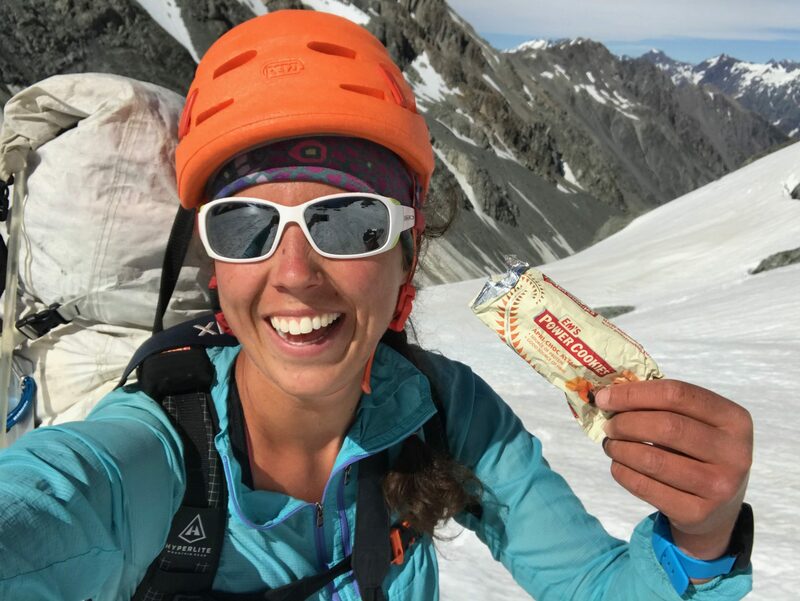 Em asked me to share some thoughts on nutrition planning for longer trips and also how I incorporate Em’s Power Cookies into my expeditions. What do you see as the main differences in nutrition on a shorter trip compared to a longer one? 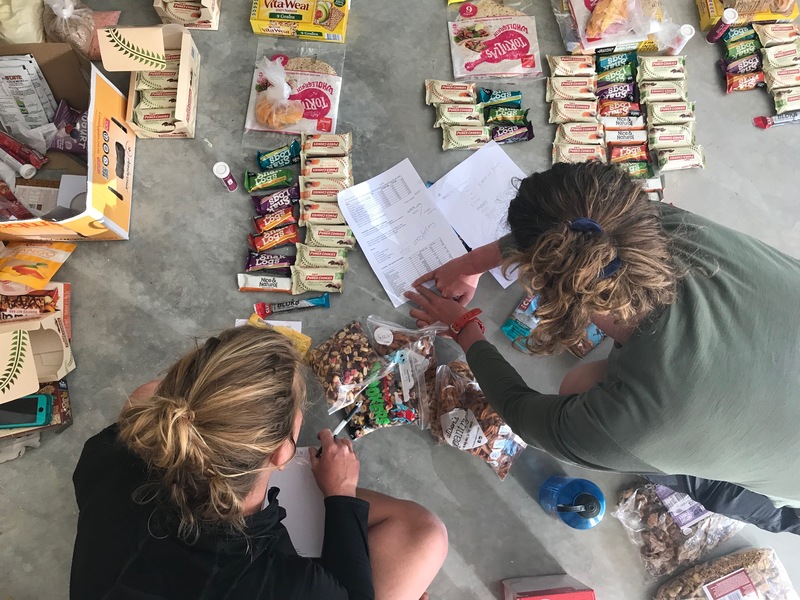 I think good nutrition plays a big part in the success of any endurance activity, though you might get away with inadequate nutrition on a shorter trip. Inadequate nutrition could mean an imbalance of different macronutrients (protein, carbs and fats) or micronutrients, or a calorie deficit that is too big and thus has a detrimental effect on your physical performance. On longer trips it is particularly important to nail your nutrition plan as you need to stay strong day after day. It’s not like a weekend trip where you can completely waste yourself and then come back home for a few days to recover. Eating good food helps you recover faster, make good decisions and keep your attention more focused, which helps reduce silly injuries due to fatigue. The food you eat also plays an important role in mental and emotional wellbeing, especially on a longer journey. How do you plan what kind of food to take? Generally the longer and more remote the trip, the more methodical my planning is. I start by dividing a trip up into logical ration periods (normally determined by how much food I can carry at once). Then I consider whether to bring whole or fresh foods, or commercial freeze-dried meals such as Absolute Wilderness. Often I bring a combination. Sometimes I make my own dehydrated meals (lentil curry is my favourite). 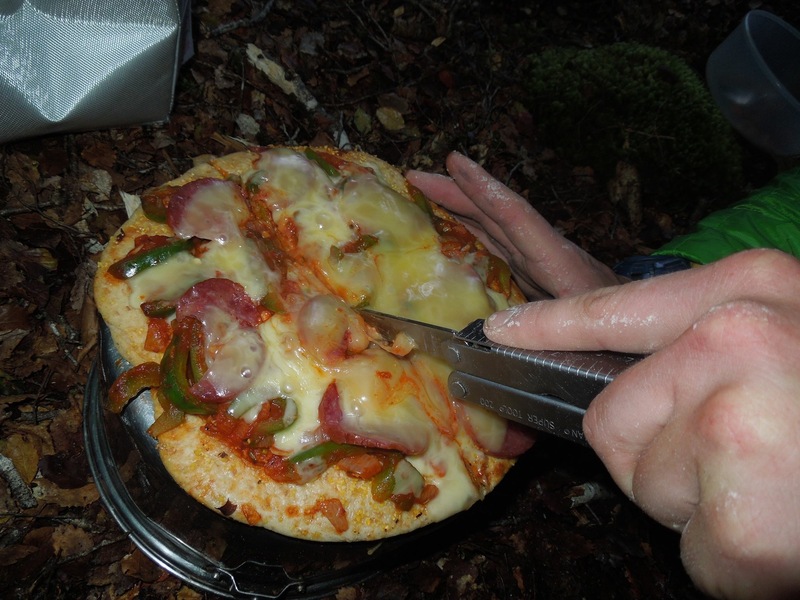 On more social trips or expeditions where we are moving slowly I make some gourmet meals that are heavier to carry and take longer to prepare (for example, making pizza from scratch with fresh toppings). 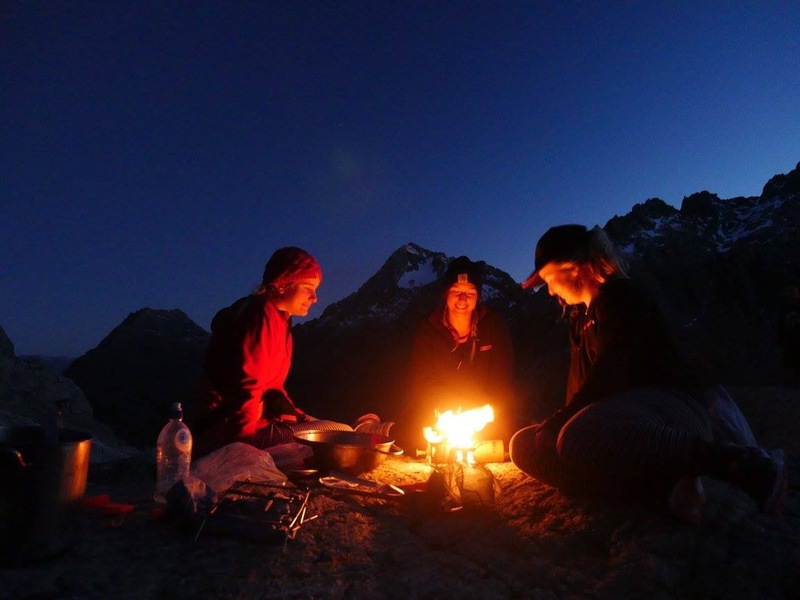 If I’m on an alpine trip that involves snow camping (where we need to melt snow for drinking water and cooking) Il bring freeze-dried meals or food that takes less water to cook. Variety on longer trips is key. I have a carbohydrate base (such as pasta, cous-cous, potato flakes, tortillas or rice) for every meal. I try to include at least 6 ingredients per meal – it’s a good way to ensure you have a balance of macro and micro nutrients. How do you consider calories when planning food? I usually plan for around 2000-3500 calories per day on most longer walking trips. After 10+ days your metabolism typically ramps up and you start getting hungrier. So I pack less food for the first week and then increase calorie intake for the later stages of a trip. If you’re operating at a calorie deficit it can be useful to know how much of a deficit. 1kg of body fat = around 7000 calories. So if you have a 1000 calorie deficit per day, you’ll lose 1kg per week. This only becomes really relevant on multi-week trips. Operating with a calorie deficit is not necessarily a bad thing. In fact, with the slower pace of longer expeditions our bodies become really good at metabolising fat. How much food do you typically carry at one time? 8-10 days’ worth. Carrying more than that tends to become really inefficient. It reaches a point where your backpack is so heavy that travel just becomes ridiculously slow. Last year on a trip in Alaska there was one point where we were moving with around 18 days’ worth of food! 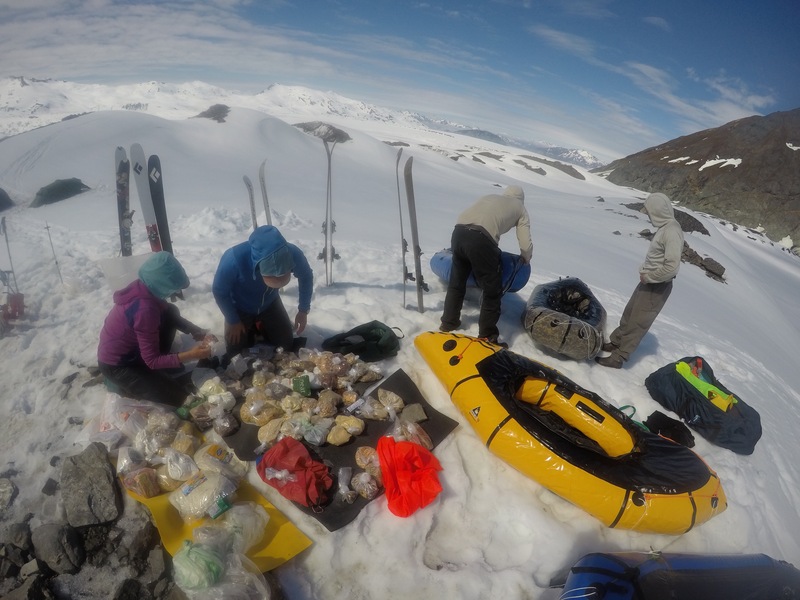 The weight was distributed between backpacks and packrafts, which we were hauling as sleds. But that was an unusual trip. If you can’t carry all your food at once, how do you re-supply? I’ve had food re-supplied by horse, 4WD, bush plane, helicopter, by friends walking in and by dog sled teams. Depending on how your food packages are delivered, they may need to be packed weeks or even months in advance. Food needs to be non-perishable, packed down as small as possible and animal-proofed. 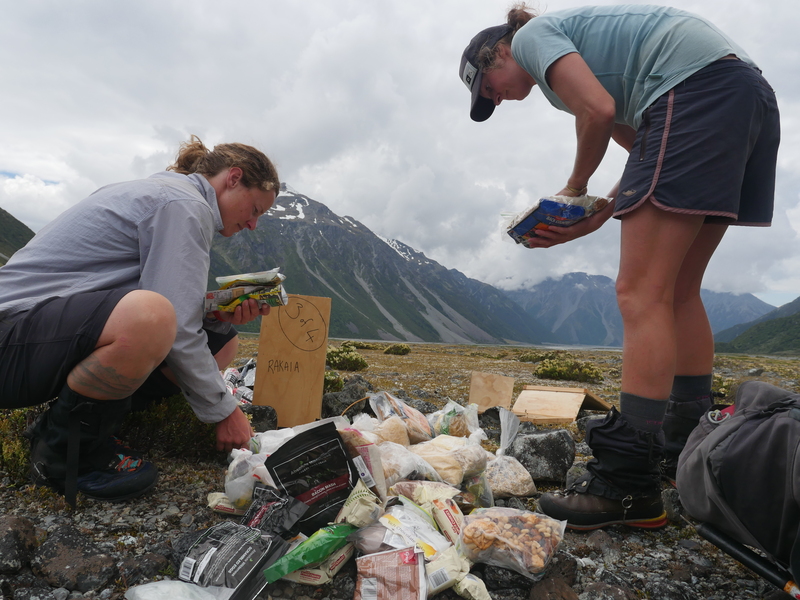 For example, on my recent Southern Alps traverse we had some food cached (left in a hut and also out in the open) for around 2 weeks. We made thin plywood boxes to store it in. It’s important to consider animals like Kea, possums and rodents. You don’t want to arrive at a cache to find your food has been eaten. Also, our food has all sorts of negative impacts on wildlife. 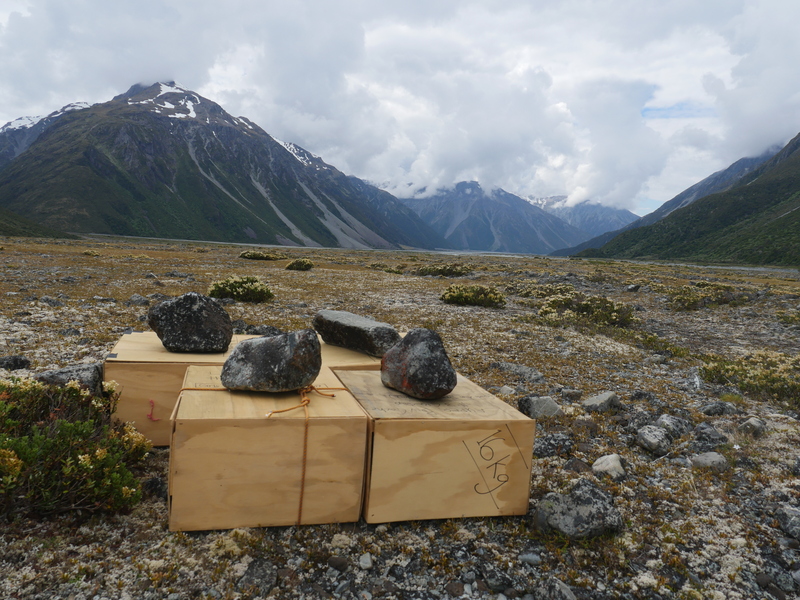 Sometimes I walk out to the nearest roadend to visit a shop (a popular re-supply method for Te Araroa walkers) but many of my trips are too remote for that. What’s an example of a typical day’s food for you? Breakfast – around 600 calories. I start with a base of around 80g of carbohydrate (like oats or muesli). I add dried fruit, pumpkin, sunflower and chia seeds and a few nuts. I often use yoghurt powder instead of milk powder (more calories and a bit more flavour). 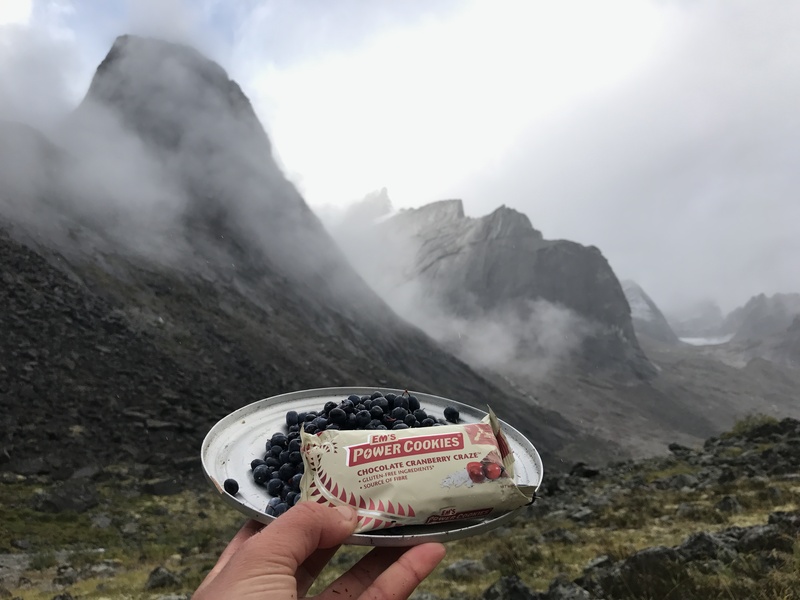 Snacks during the day – I typically pack 1500-2000 calories per day for snacks on longer tramping trips. This would be on a day where I’m moving consistently for 7-12 hours. If I’m increasing the intensity (eg. for adventure racing training) I may eat more than that. 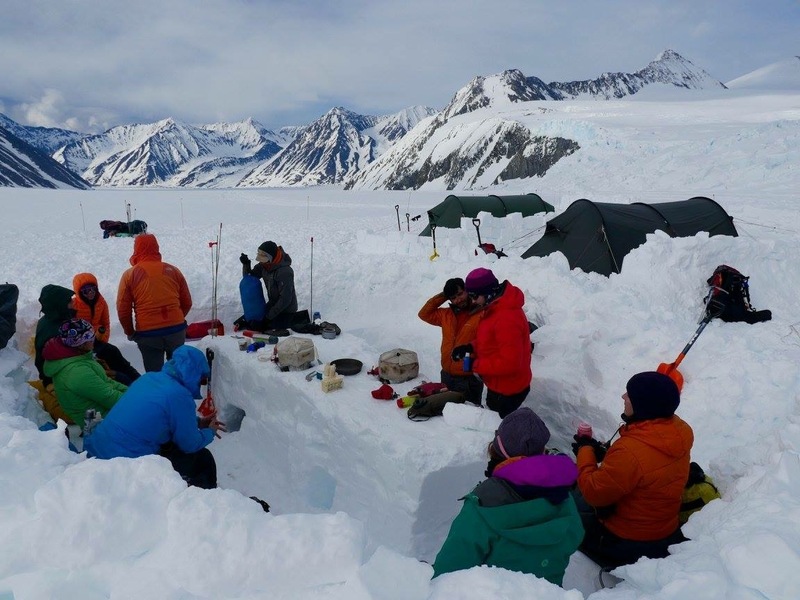 Dinner – These days I do a combination of freeze-dried meals and making meals from scratch. I tend to eat around 700-1000 calories in the evening. That usually includes some sort of post-dinner treat and a hot drink. I love Absolute Wilderness meals. I’ll often beef them up with extra potato mash or couscous if I need more calories. A typical simple, cheap meal that I often make is couscous with an instant soup packet, a handful of mixed nuts and seeds and some dehydrated vegetables. I also like to add coconut milk powder for flavouring and bumping up calories. 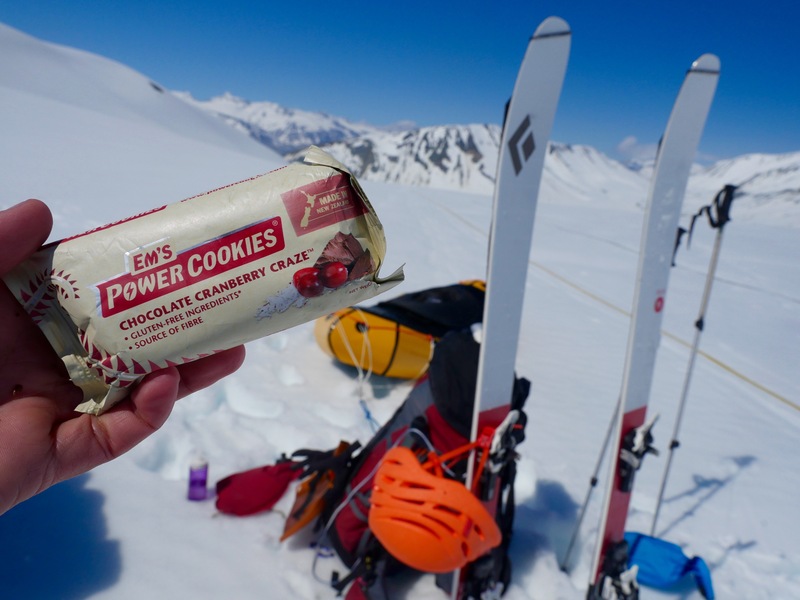 How do you incorporate Em’s Power Cookies into your expeditions? For long trips I ration 3 Em’s Power Cookies per day for the duration of the trip. That gives me just under 1000 calories (typically 25-30% of my calorie intake) through Em’s! I enjoy the taste and textures and they have a good balance of protein, fats and carbohydrates for endurance sports. They are also reasonably calorie-dense, which is great when you’re carrying more than a week’s worth of food at once. Alongside Em’s Cookies I pack things like dried fruit, nuts, liquorice, crackers and cheese. Do you have any key tips for people embarking on multi-day outdoor adventures? Bring more fat on trips in cold environments or trips of a longer duration. Each gram of fat has 9 calories whereas carbohydrates and proteins have 4 calories per gram. That makes fat more than twice as efficient in terms of weight: less weight on your back, more calories to fuel you. It’s a no-brainer. Also, on long trips you’re typically moving reasonably slowly so your body can metabolise fat without compromising moving speed. It’s not like a 3 -12 hour multisport race where the intensity is higher and you need to keep carbohydrate intake up to retain the higher intensity. 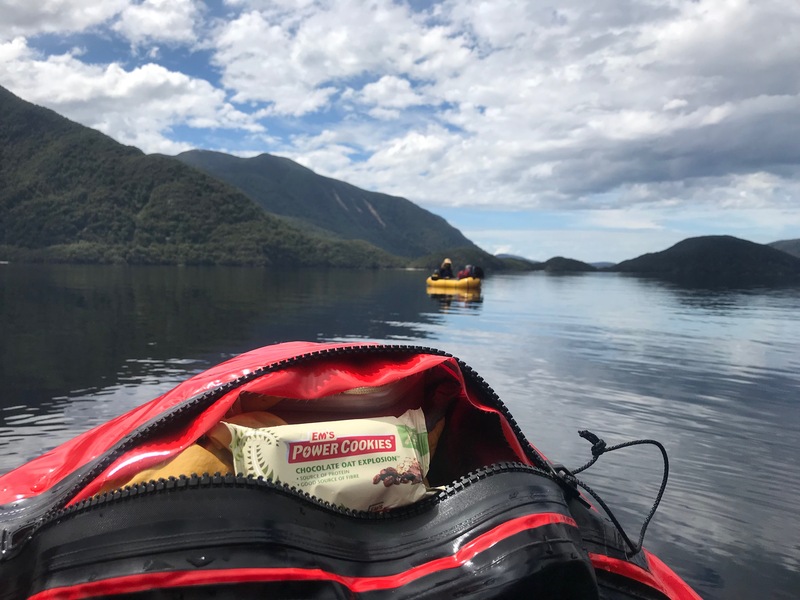 It’s easy to increase fat intake on longer trips: bring more cheese and nuts. And on longer trips I often bring a small bottle of oil to add to meals. Snack as opposed to having big lunches. This makes moving more efficient as breaks end up shorter. Also, we can only digest a certain amount of food at once, otherwise all our blood goes to our digestive system and our muscles get sluggish and inefficient. 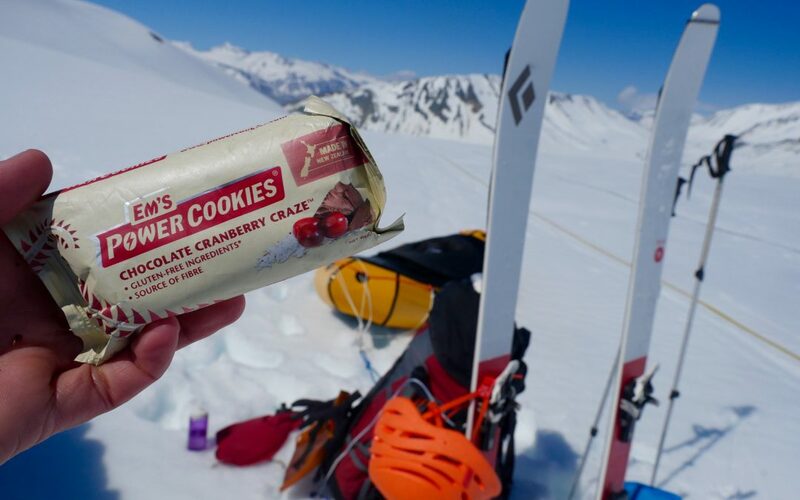 If you’re adventuring in a cold environment then having tiny amounts of food more regularly is a good way to help with temperature regulation and keep you warmer.